Twitter has launched a standalone app designed to help popular users grow and retain their audience, as it aims to make the platform more commercially attractive for content creators. 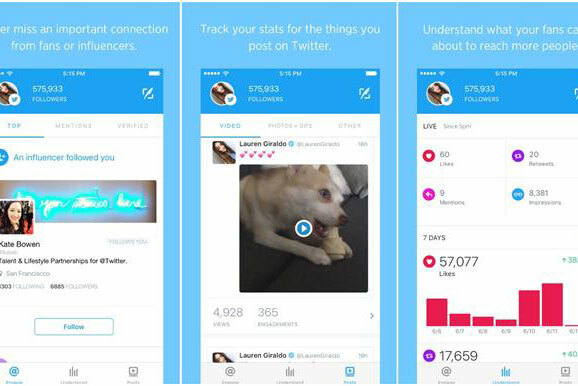 The new app, Twitter Engage, includes "down-to-the-second" analytics allowing users to see how their tweets are performing. It also offers curated recommendations to help users spot high-profile engagement opportunities, and offers the ability for select users to upload and monetise their content within the app. Alongside the launch of Engage, Twitter is ramping up its video capability, in recognition of the booming popularity of the medium – video tweets, it said, had increased by 50% since the start of the year. As of now, all users are able to create and share videos of up to 140 seconds, as opposed to the previous 30 second limit for consumers. In Twitter’s looping short form video sharing service Vine, meanwhile, selected users will be invited to beta test the ability to add longer videos – creating the option of "turning the six second Vine into a trailer for a bigger story," as Twitter described it. Vine is also exploring monetisation opportunities with Twitter’s Amplify Open program. Twitter has also improved its video viewing experience; by tapping on a video tweet or Vine in their timeline, users can now launch a full-screen interface with more suggested video Tweets below. Jack Dorsey, Twitter CEO and co-founder, said: "Video is becoming increasingly central to the real-time conversations happening on Twitter. "We’re investing heavily in videos and creators. We want to be the best place for creators and influencers to build an audience and make it easier for creators to make money on Twitter, and soon Vine." The announcements follow the news that Twitter had acquired UK tech startup Magic Pony, as it seeks to bolster its Periscope live streaming tool. Magic Pony creates creates algorithms that can understand and analyse pictures – making it easier to produce good quality video in low light, or with poor cameras. Live video is emerging as a key battleground for social platforms, with Facebook, YouTube and Snapchat betting on it becoming a major aspect of social media use in the coming years. Yesterday, Tumblr announced support for live video too – although rather than hosting its own, it is aiming to become a destination for live video from other platforms, with support for YouTube, YouNow, Kanvas and Upclose. The Yahoo-owned microblogging platform said it was actively exploring ways to bring this feature to brand partners as an ad offering.